Warm lemon water is an effective solution for various gastrointestinal problems like indigestion and bloating because it helps in releasing toxins that are present in your digestive system. It is especially great in pregnancy when heartburn rears its nasty head! Lemon water reduces hunger cravings by keeping you full. Mixed with honey, it is good for weight loss because it helps in burning fat faster and reduces body weight as well. Lemon juice has antioxidants that flushes out the toxins in your blood and that helps to keep the skin acne and blemish free. It is a great idea to consume lemon water on a regular basis to prevent wrinkles and premature aging of skin. Fight back against colds and the flu with the immunity-boosting properties of lemon. Since it is a citrus fruit, lemon has plenty of Ascorbic Acid (Vitamin C) and consuming warm lemon water is the most efficient way to get your body rid of viral infections. A good remedy for sore throat is warm honey and lemon water. It works like magic! As previously mentioned, lemons have Vitamin C in them which is an essential nutrient for the healthy functioning of the body. In addition to the maintenance of healthy bones, connective tissue and cartilage, it also promotes faster healing from injury. Lemon water is a perfect replacement for the caffeine in tea and coffee as it refreshes your body and gives you energy to face the day. Replace your usual cup of tea or coffee with warm lemon water first thing in the morning and you will feel the difference! Pretty amazing right? Another good reason to have lemon water is the fact that it helps freshen your breath. Due to its anti-inflammatory properties, it also helps reduce gum diseases like gingivitis which causes bad breath. 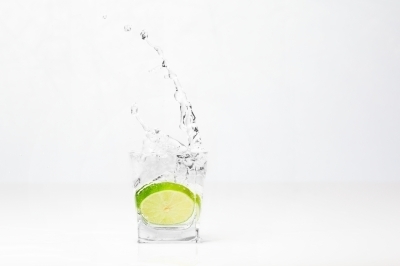 However, keep in mind not to brush your teeth directly after drinking lemon water, because the citric acid from the lemons can damage tooth enamel. Simply rinse your mouth with water and do your normal brushing after 60 minutes. The benefits of lemon water are endless. Simply squeeze half a lemon in a glass of warm water and drink it first thing in the morning on an empty stomach to gain all these amazing benefits!